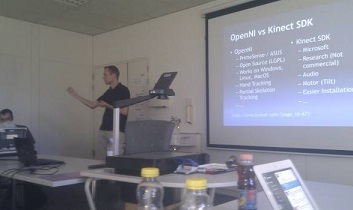 Yesterday I gave a short talk about Kinect development at the .NET User Group Meeting in Berne. (I was the warm-up act for Golo Rodens talk about ADF). A short summary plus pictures and the slides can be found here (in German).